Oh, you say, this looks likes a Thanksgiving table. Yes, it is, but I very much like the wood mixed with candles and pumpkins and thought with a few changes it would convert nicely to a Christmas table. For wood, mine is a candle mold, narrow but adequate enough to hold candles mixed with a variety of greenery and fun baubles. Best of all, the centerpiece is one created with things I have on hand as I promised not to spend any money this year for new accessories. I’m out of space to store another thing! The Christmas season wouldn’t be the same without pulling out the Spode china given to me oh so many years ago by Mother. 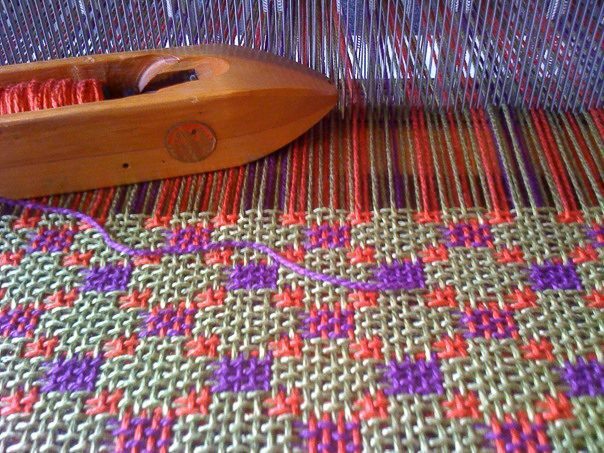 It is a most traditional pattern, but fun things can be added to bring it into a modern day setting. The flatware which I use again and again this time of year does just that. As much as I like napkin folding, this time napkins are held in holly berry napkin rings. If you don’t use such things now, it’s a missed opportunity! With the addition of a green bowl from who knows where but perfect for a taste of the roasted butternut squash soup that will begin the meal and a popper for a little surprise, the setting is complete. I appreciate the table that inspired this one to meet Cuisine Kathleen’s annual challenge to recreate a holiday table from an admired image. Do check out the other clever and creative folks who have taken it on. Wow, what a gorgeous table, Linda! 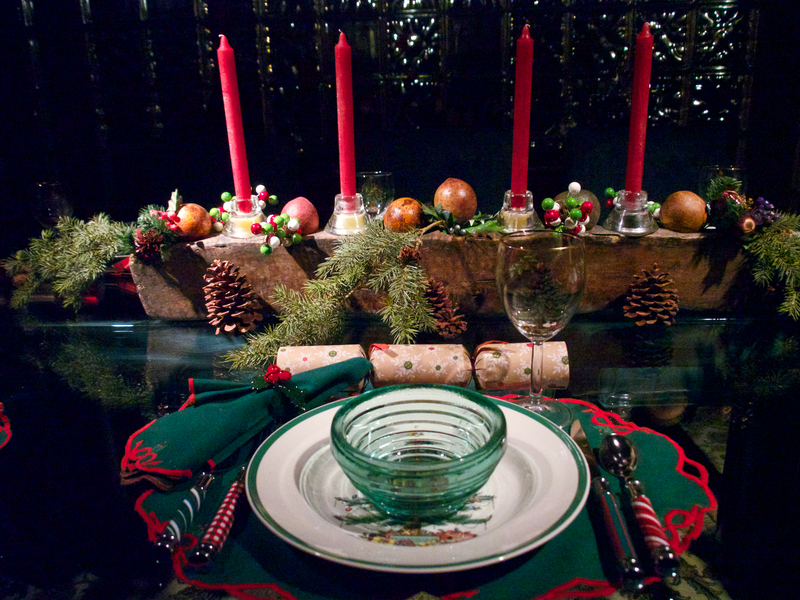 Love the fun flatware…and those bowls are the perfect shade of green for any Christmas tablesetting. Great idea to take inspiration from one setting to change it up and make it perfect for a new season. Beautifully done!! I found the flatware at Ross last year and was absolutely delighted. As you might guess, I got what there was and wished for more. I love your table decorations!! Beautiful! I love your Christmas version of the table and that Spode china is, as always, classic and elegant. Oh my your table is stunning….it is exquisite and fun at the same time….love the cute silverware too!!! I love the Christmas table! It is so beautiful with the big wooden box. I know I said the same thing, and so far I have been pretty good! I have been organizing all Fall and I just can’t fit anymore in!!! Great job on the inspiration table and creating it for Christmas. Yes, I love your flatware too – such a fun and festive look! Your table is lovely and I especially like your fun flatware for a jovial feeling. Thanks, Karen. The table is set for your fake osso bucco. Thanks. Hey, I’m wondering how you are coming along with your tables. My autumn table was so nice. I have not done a Christmas table yet but will soon!!! I totally adore this C’mas copy cat challenge you did! Amazing reproduction from the Fall one to the C’mas one; fabulous interpretation! The long wood centerpiece it’s great! Aha! I LIKE your twist on the challenge! That’s really using your Thinking Cap!!! That piece of wood is a candle mold? Wow…I don’t know that I’ve ever seen one like that before. That’s cool!!! It’s a perfect piece for the centerpiece and holds all of your decorations nicely. 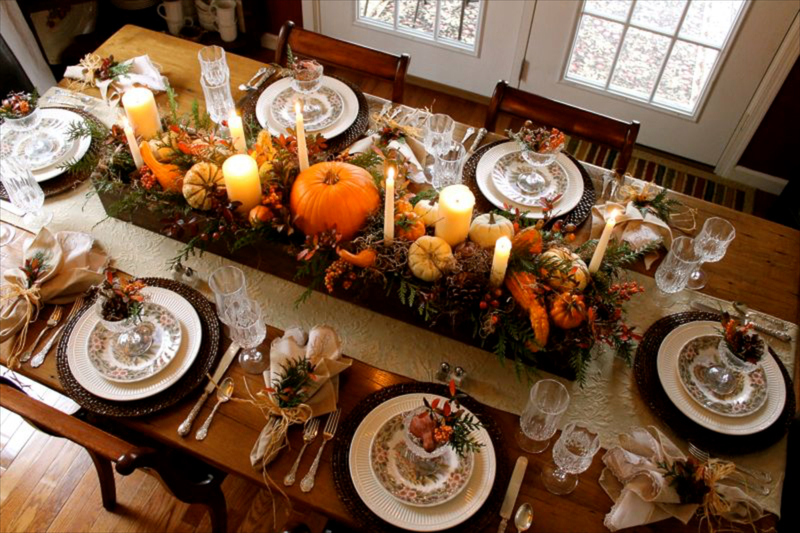 I love that you took a fall-themed table for your inspiration and created such a beautiful Christmas tablescape from it! And that flatware – how cute! I want some! Like you, I don’t have space for any more “stuff” so I will use what I have and be happy. But looking at your pretty table makes me happy, too. We have to find our ways of being happy, and I’m glad to have provided a touch of happiness to you. 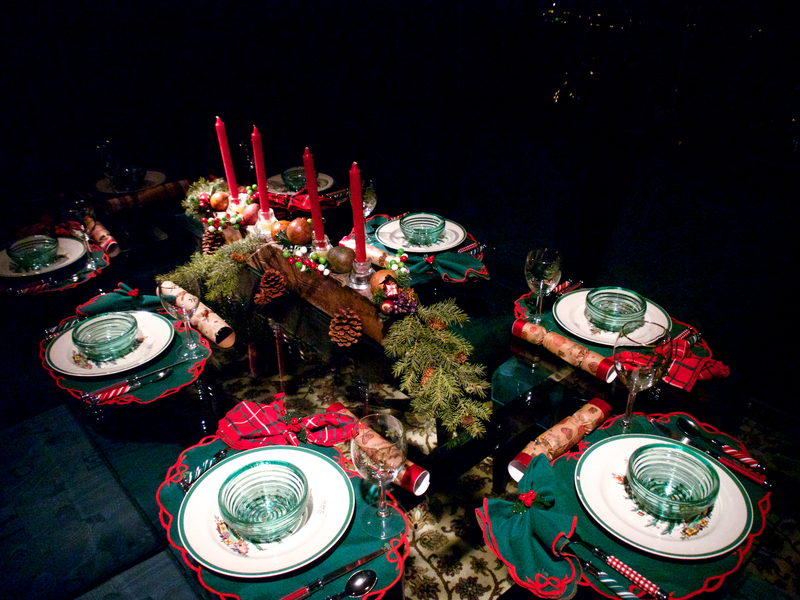 Wonderful job at transforming that Thanksgiving table into a beautiful Christmas theme. I have a large box my hubby made and I love it. kudos to you. Happy Holidays. There’s something about wooden containers being filled with things that is special. Thanks for visiting. This is one of my favorite looks! Love the idea of taking inspiration and making this idea work for various seasons and occasions. Bravo! Beautiful table! Your table is just beautiful! But fun too!! YOu can;t beat Spode for Christmas. Can you share where you found the great flatware? I love it! I bought the flatware last year at Ross and wish they’d had more. Linda, I LOVE the centerpiece! Your Spode is always a timeless pattern and I just bought a DIL a place setting to complete her needs. The flatware makes everything fun, along with your pretty napkins and rings. Great job! I love the arrangement in the wooden dough bowl! I always save a few pumpkins after Thanksgiving and spray them gold. I think they work perfectly for Christmas. Love the plaid and the silverware is gorgeous!! Hello Miss LULU! You did a great job on your table, so festive! Love those little bowl, they are perfect. The touch of plaid is so pretty! Thanks for taking the challenges so faithfully! L, is there a brand on the flatware? We don’t have Ross, but maybe I could search for the brand. I love it! Lulu, I love the way you took the inspiration table and created your own Christmas table yet maintained the integrity of the original design. Your centerpiece is inspiring me to try and copycat your table! I love love love what you have created here LInda, and the fact that you took inspiration and didn’t copy exactly, but recreated the feel~ your table is gorgeous!